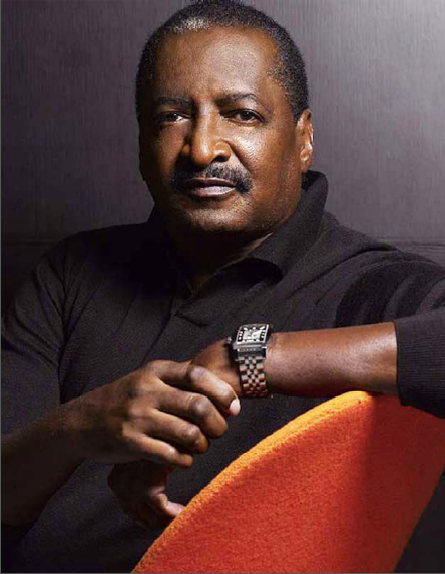 With uncanny timing for socially charged topics, music mogul Mathew Knowles hits hard right out of the gate with his latest book Racism from the Eyes of a Child (Amazon/Ingram), released just in time for Black History Month. RFEC is a deeply personal reflection on racism in the south, where the Gadsden, Al native was raised, and America at-large. The semi-biographical journey is seen through his and close relative’s accounts of a childhood lived through the country’s most separate past. From the 1950’s-70’s, Knowles experienced one of many firsts-from integrating all-white schools in the south, up through his experiences in the corporate, and later music world. There he helped cement music history by introducing his bloodline and managed talent to the world with Beyoncé (Destiny’s Child) and Solange Knowles. His experiences as a child with police cattle prods and other such heinous practices used on protestors, all shaped his hyper-awareness of racism-even found in households like his own, in the form of colorism. Such controversial subjects are not new; however, they have been stirring up international dialogue recently. Knowles shot to the center of the subject by asking us to consider if the music industry’s own colorism issues might still be in play. In revisiting his personal experiences with racism in America, his book challenges readers to do the same. He encourages readers to comb their own family histories for heroes who fought discrimination through the years. He points to the attitudes of slave owners who first programmed colorism into the black community due to their own preferences. 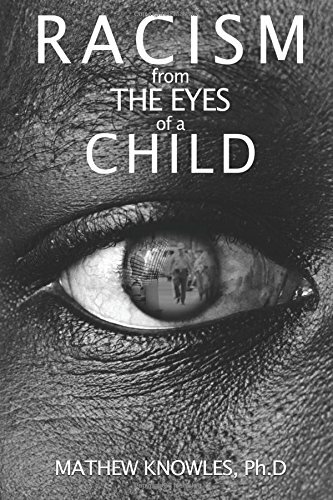 Racism from the Eyes of a Child discusses the deeper causes of what appears to be a growing permanence to racism, and questions how everyone is going to cope if that is the case. A riveting read, and one that makes you peel back your own ideas about race, RFEC offers a disarming but candid conversation. By showing his own cards openly, Knowles constantly encourages honest and sometimes raw dialogue in hopes of leading to genuine solutions for this generation’s children. By adding photos and the childhood accounts of friends and family members, he offers up a rich All-American Saga. “I was seeing this therapist when the racial dynamic surfaced again, and that shifted me into the direction that led to my ultimate progress. As a part of my therapy, a series of men groups of all ages, sizes, and colors were available to join. In my groups, there were always men my age that were affluent. Any number of highly-ranked executives for major companies or who owned their success. We faced similar challenges that way, and while our traumas might have been different, the results in most cases were the same. Like for some of us, our behavior had begun to overflow into our marriages-certainly, that happened to me. “That therapist made a prophetic statement a couple of times when she mentioned both the downside and the upside of my reaction to the traumas. “The bad side,” she said, “is that you overdo things. You sometimes drink too much, you sometimes party too much, your taste for women is too much. But the good thing that came out of this is that you would have never been as successful were you not.” She truly believed that and I do too because I would’ve never have been as driven. There is a personal, professional, and spiritual part of me and I think my past struggles enhanced my professional performance in that way. On the flip side, my choices and my excesses then became clearer as I recalled how my mother had always conditioned me as a child. “Don’t ever bring no nappy headed girl up in my house.” End quote. “Do you know that command, plus the obvious fact that I couldn’t have a white girlfriend according to her and the law of the land both, made me want one more? It became something that had a clinical name to it-Eroticized Rage. Such unconscious conditioning affects any number of men who go after race as the primary basis for their romantic choices. For them. in frustration of what they are socially denied, it is an act of vengeance getting what is considered taboo. I can look at my teenage years and those stolen moments atop Lookout Mountain (with white girls from school) as prime examples. It reminded me of an earlier experience. “…It was still a risky time in the south, and I continued finding a line to step over, even if I wasn’t aware of it…. I think back to when I met my first wife; I thought she was white, although she never claimed to be. I’m just talking appearances and first impressions, I quickly saw her beauty and blackness, inside and out. According to my sister, even after my mother met my future in-laws she stayed convinced all of them were white. I’m sure she didn’t mean for me to bring one home, but considering my choice in women’s complexions based on that colorism she passed on, I almost did. There was this idea in America that if you have even a small percentage of African blood, you are black. One drop. It didn’t matter if you were mixed so far down you could pass if you wanted to, there was still that fact-and even those fairer skinned black people got racism shoved at them. I got to see it once driving from Houston through Chattanooga with my then-wife when we stopped to gas up, and she asked this white man for the restroom. He snapped at her rudely, “We don’t have one!” That response showed me, we were all in the same pot, even if it was melting with a variety of shades. – Racism from the Eyes of a Child.